Hi, I’m Adele and am running this new business with the support of my dad Max, step-mum Jenny and husband Ross. The journey has been about seven years in the making, from the original idea to opening this year! A surprise birthday present from Ross seven years ago took us to a glamping ‘pod’ on a Welsh farm, which became the starting point of our journey into glamping. As we settled down that evening, a glass of red wine in hand, looking out through the windows to the fields around us, we had the lightbulb moment. As well as enjoying the experience personally, it showed us a way of both supporting the family farm and giving people an opportunity to stay in an area we love… we could do this! My dad & Jenny own Whin Yeats Farm, a dairy farm in one of the most picturesque places we know. My grandad bought the farm 60 years ago, and to sustain the farm for future generations, he diversified by opening a small caravan site. 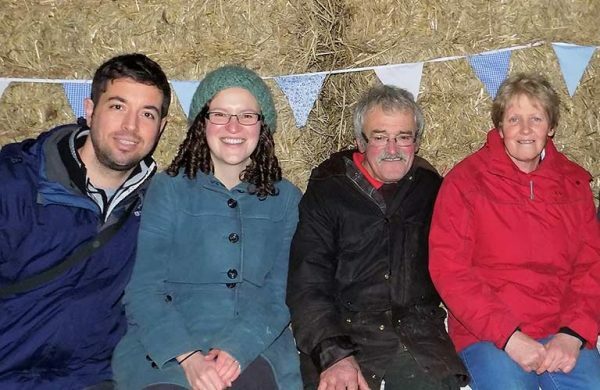 It was crucial to dad & Jenny that the farm would continue for the next 60 years and beyond, and they went into partnership with a young couple passionate about farming, Tom & Clare and their four children. Clare was interested in diversifying into cheese making using the farms’ wonderful milk, and it’s incredible how things come full circle as my grandad often told us of how his mother started making cheese when the recession struck in the 1920s! This project aims to support the future of the farm further, and enable guests to experience farming life and visit an extraordinary part of Cumbria. Ross, Adele, Max & Jenny. We loved our first glamping experience, the walk to the site with our belongings in a wheelbarrow, the welcome hamper with local cheese & sausages, and having our private space (there was only one other pod a field away). On the flip side, there were a few things that were a difficult – the kitchen and shower facilities were far away, there weren’t enough hooks & cupboards to store our clothes, and there was a gap in the floor that was open to the elements (and lots of spiders!). It was so cold, even with the wood burner fired up, and we ended up wearing about five layers to keep warm, which was not quite as romantic evening as we had envisaged! In the years that followed, our glamping adventures took us to a range of countryside yurts and shepherd’s huts. For each trip, we’ve learnt more about what makes a glamping holiday special. This project isn’t just about providing accommodation, it’s about a whole experience to enjoy. We now live in Milnthorpe, just down the road from the Roundhouse. 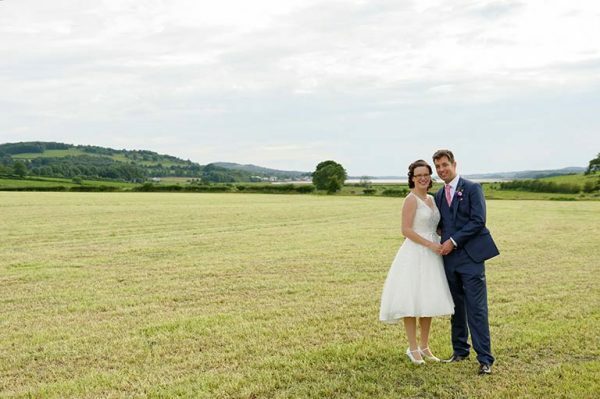 We got married in 2015 at Dallam Tower and had our Reception around the corner at Park House Farm in their stunning 16th-century barn (it’s used for their cows in the winter!). They have a great ‘Pick Your Own’ that’s open throughout the summer, and they overlook Morecambe Bay estuary – well worth a visit. The Roundhouse is on an agricultural field with incredible views of the surrounding farmland, Lakeland mountains and Yorkshire fells. It borders Hutton Roof Crags, a Site of Special Scientific Interest, and a private gateway gives our guests access to explore miles of open access land. We feel so lucky to have so many stunning places to visit & explore on our doorstep, and we’d be happy to share our favourites with you.